It's time to reluctantly say farewell to my favorite month, July, but there's still plenty of summer ahead on TCM! The annual Summer Under the Stars Festival begins on Monday, August 1st. For a quick chronological overview of the stars being celebrated in this year's festival, please visit my May preview post. As usual, TCM has a special Summer Under the Stars microsite with the schedule and lots of information on the stars and their movies. (Thanks to Raquel and Joel for pointing me in the right direction!) The usual schedule may also be found on the TCM site. 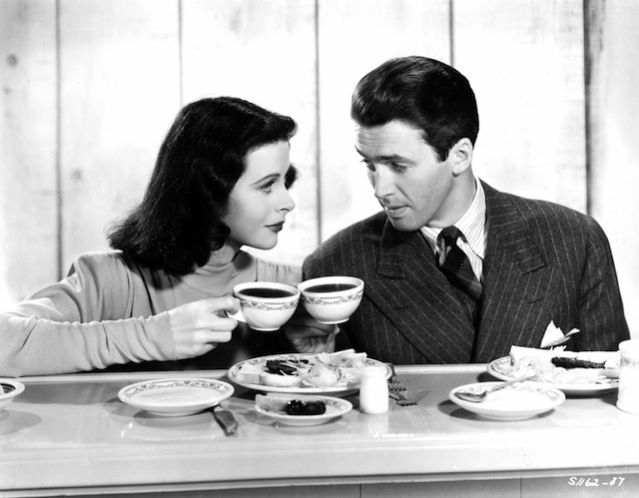 There are a number of days where I could happily watch TCM around the clock. (A Constance Cummings Day? How great is that?! She's seen here with Robert Montgomery and Sir Seymour Hicks in HAUNTED HONEYMOON, showing on August 24th.) Here's a quick look at just a few of the August highlights on Turner Classic Movies. Click any hyperlinked title for my review. ...The festival begins with a tribute to Edward G. Robinson on August 1st. A wide variety of Robinson films are being shown, including titles where he's a gangster or a more admirable investigator, but I particularly recommend the unique OUR VINES HAVE TENDER GRAPES (1945). Robinson plays a Norwegian farmer thoughtfully raising a little girl (Margaret O'Brien) along with his wife (Agnes Moorehead). It's classic MGM Americana. 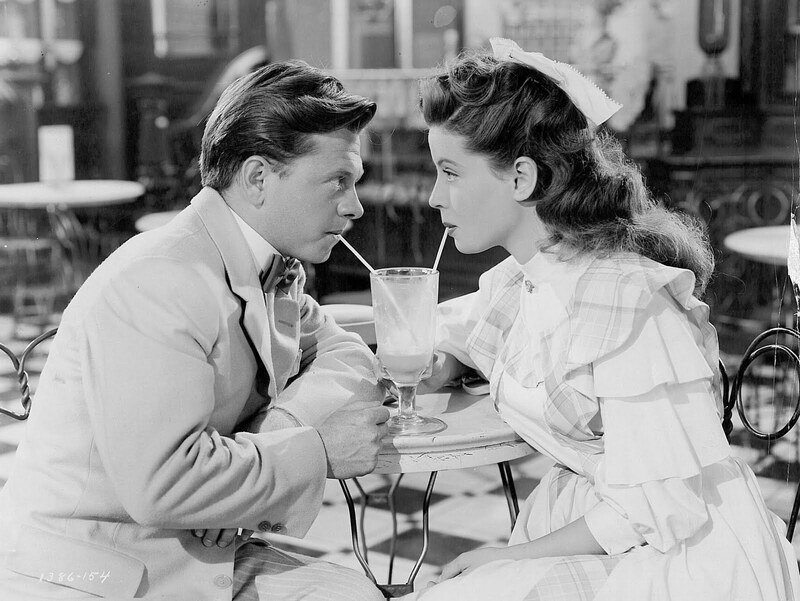 ...There are many good films showing on Lucille Ball Day on August 2nd; I particularly suggest BEST FOOT FORWARD (1943) in honor of one of its other stars, Gloria DeHaven, who just passed away. 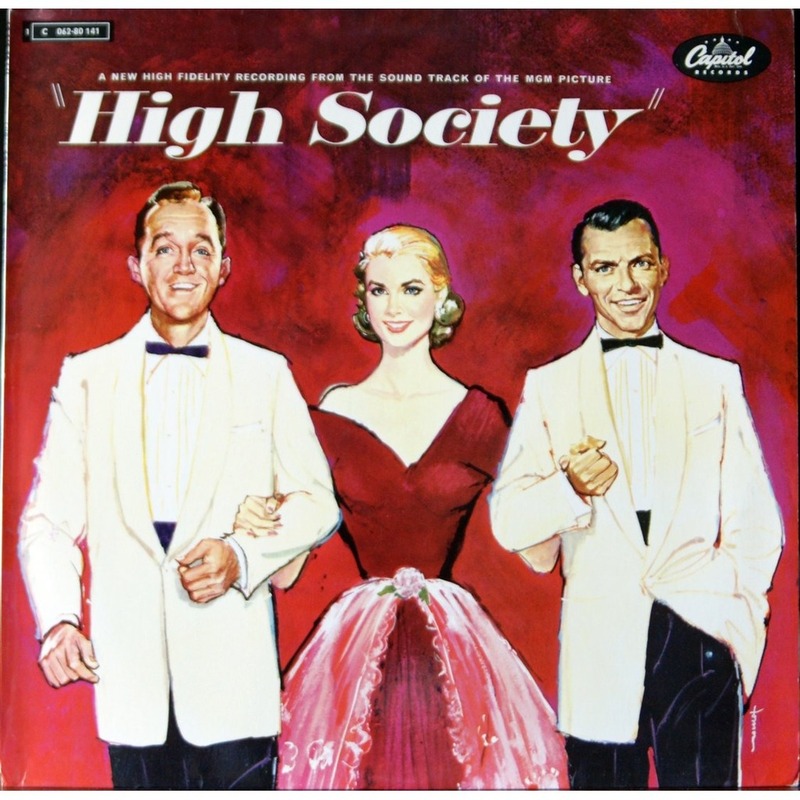 ...Bing Crosby's films are shown on the 3rd, and I have a definite soft spot for HIGH SOCIETY (1956). 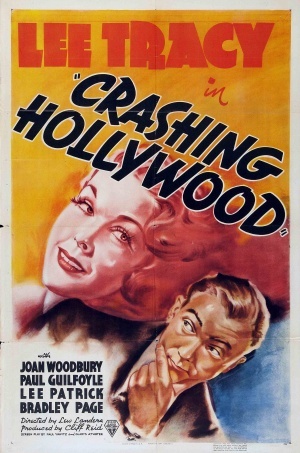 It may be a remake of THE PHILADELPHIA STORY (1956) but it has a great cast and a terrific Cole Porter score. I have the LP, seen here. ...Fay Wray will be celebrated August 4th. Again, there are a number of interesting films; I suggest the pre-Code legal drama ANN CARVER'S PROFESSION (1933), in which she plays an attorney. ...I've seen most of the Jean Harlow films showing on August 7th. BOMBHSHELL (1933) has some fun "insider" jokes, such as the fact that Harlow's character is starring in RED DUST (1932). ...One of the best days on the calendar is the celebration of Esther Williams' birthday on August 8th. You can't go wrong with NEPTUNE'S DAUGHTER (1949) or EASY TO LOVE (1953). 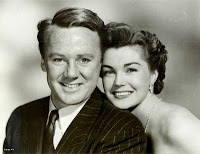 ...Esther Williams Day is back to back with Tim Holt movies on August 9th! 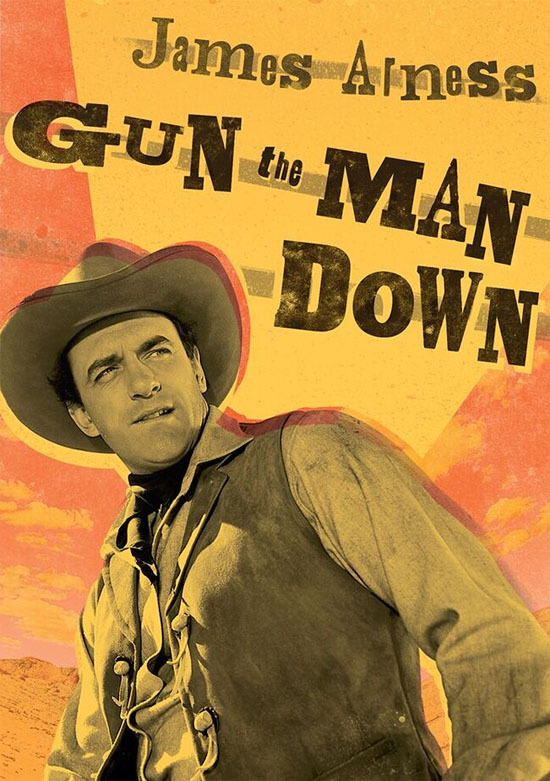 It's a great assortment of his B Westerns -- I'm particularly fond of the postwar Westerns costarring Richard Martin -- and classics like THE TREASURE OF THE SIERRA MADRE (1948) and THE MAGNIFICENT AMBERSONS (1942). I particularly like the comedy FIFTH AVENUE GIRL (1939) with Ginger Rogers, and I'm excited TCM is showing a Holt film I've never seen, THE ROOKIE COP (1939). ...I highly recommend spending August 10th with the wonderful Hedy Lamarr, who in recent years has received overdue recognition for her scientific breakthroughs along with her film career. There's only one Lamarr film showing this month which I haven't seen, and ironically it's considered one of her best roles, in H.M. PULHAM, ESQ. (1941). 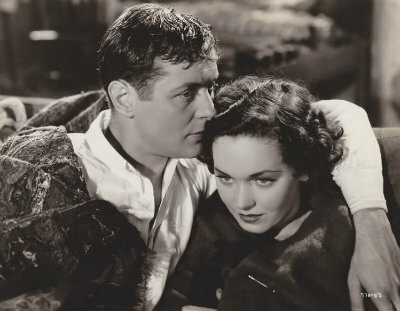 I also especially like EXPERIMENT PERILOUS (1944) and COME LIVE WITH ME (1941). ...Almost exactly a year ago I discovered LUCKY STAR (1929) at UCLA, starring Janet Gaynor and Charles Farrell. It will be shown on August 12th. ...Sunday, August 14th, is yet another day to sit down in front of the TV and stay there for the duration. It's Cyd Charisse Day! I've seen all but one of the movies showing. Cyd is a great, great favorite of mine, seen here in a publicity photo perfect for August. What can I say but "Watch them all!" For those who might not be familiar with her work, it's an especially great introduction. ...HOLIDAY IN MEXICO (1946) isn't a top tier MGM musical, but Technicolor fans will want to watch it for the movie's amazing look alone. 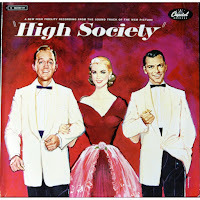 It stars Jane Powell, Walter Pidgeon, and Roddy McDowall, who is being celebrated on August 15th. 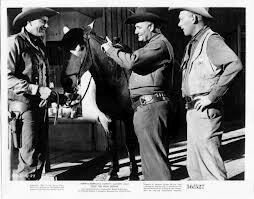 ...I rarely miss an opportunity to plug one of my favorite Westerns, RIO BRAVO (1959); one of these days I'm going to review it here! It's showing on August 18th, which is a day of Angie Dickinson films. 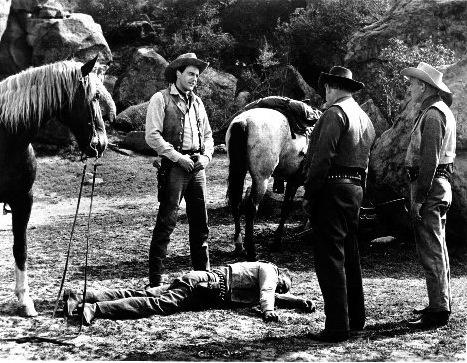 Dickinson stars with John Wayne, Dean Martin, Ricky Nelson, and Walter Brennan. 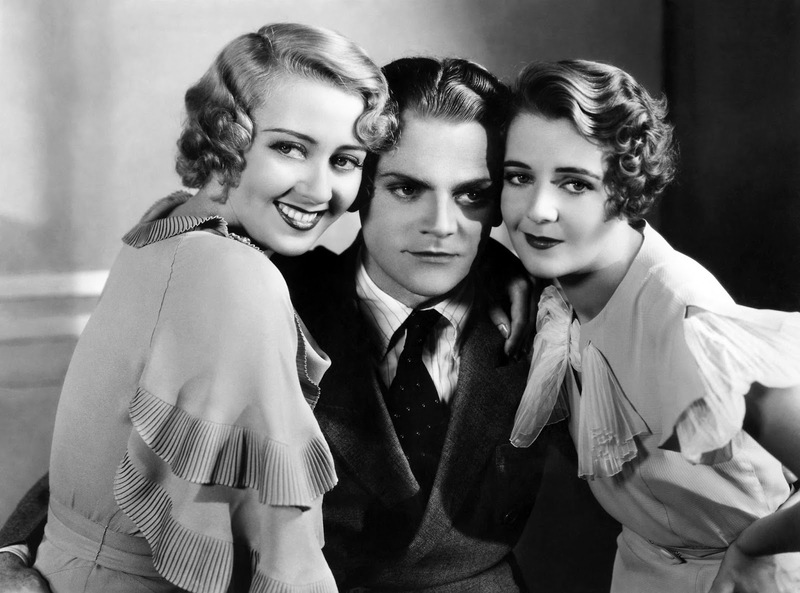 ...There are lots of great Ruby Keeler movies on August 19th, including Busby Berkeley classics like FOOTLIGHT PARADE (1933) -- seen here with Joan Blondell and James Cagnet -- and 42ND STREET (1933), to name just two films in a great lineup. ...I had never seen NOW, VOYAGER (1942) until a little over a year ago. Great stuff, as advertised. August 21st is the perfect day for anyone else who hasn't seen it to catch it! Bette Davis and Paul Henreid star. 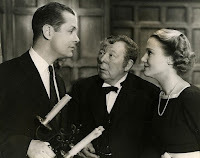 ...Once again I've seen all but one of the films showing on Robert Montgomery Day, August 22nd. Again, watch them all...but if you must choose, my favorites include the hilarious pre-Code THE MAN IN POSSESSION (1931), the touching romance HIDE-OUT (1934), and the great war film THEY WERE EXPENDABLE (1945). ...Seattle-born Constance Cummings spent much of her career living and working in England, to the point many think of her as a British actress. 15 Cummings films will be shown on August 24th, including MOVIE CRAZY (1932) with Harold Lloyd. That's a Lloyd film I need to see! ...I'd wondered why one of my favorite Esther Williams films, DUCHESS OF IDAHO (1950), wasn't being shown on her day on August 8th. Turns out it's showing on August 25th, the day honoring her costar Van Johnson. 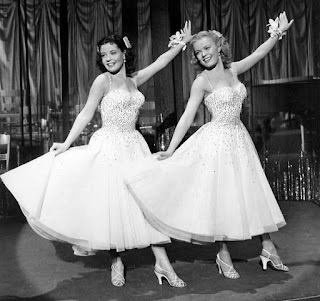 Also be on the lookout for another film starring Gloria DeHaven, the delightful TWO GIRLS AND A SAILOR (1944). ...James Garner's funniest movie is SUPPORT YOUR LOCAL SHERIFF! (1969), written by William Bowers and directed by Burt Kennedy, showing on August 27th. ...I've seen all but one of the Jean Arthur movies showing on August 28th. Since that's the case on several days I'm thinking I should pick out the "last one" unseen on each of those dates and catch up with them! 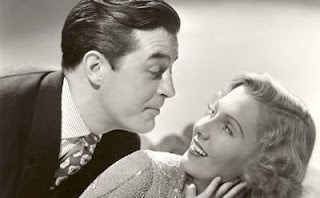 So many great Jean Arthur films...don't miss EASY LIVING (1937) -- seen here with Ray Milland -- THE MORE THE MERRIER (1943), or SHANE (1953). ...Anyone who has missed HOLD BACK THE DAWN (1941) in previous airings on TCM has another chance on Charles Boyer Day on August 29th. Olivia de Havilland costars. 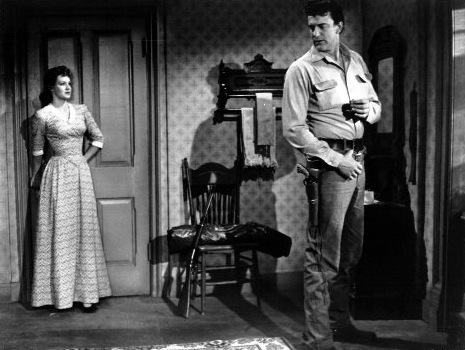 ...I have fond memories of seeing Dean Martin and Judy Holliday in BELLS ARE RINGING (1960) at the Tiffany Theater in Hollywood as a teen, and I especially loved Dean singing "Just in Time." It's showing on his special day on August 31st. Enjoy Summer Under the Stars! 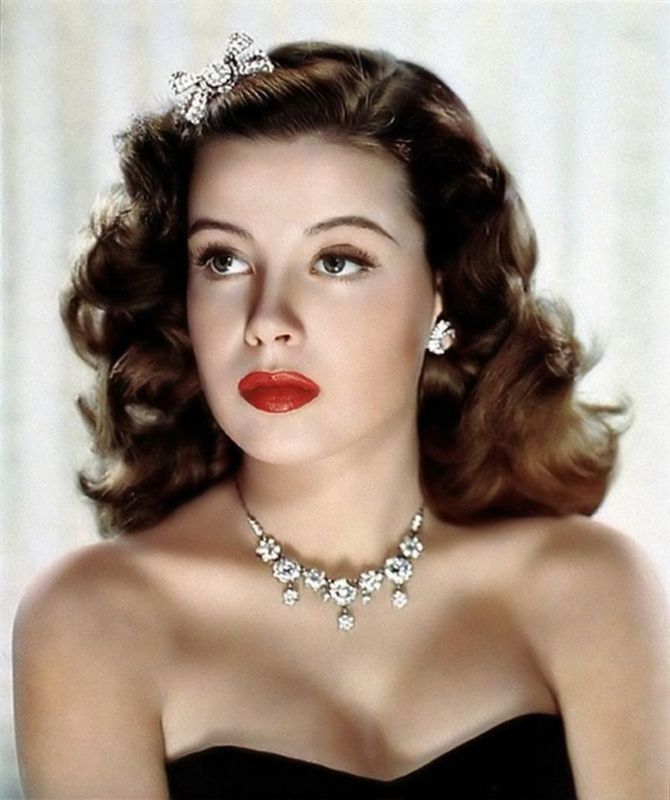 Lovely MGM singing star Gloria DeHaven has passed on at the age of 91. DeHaven celebrated her birthday just a week before her passing. 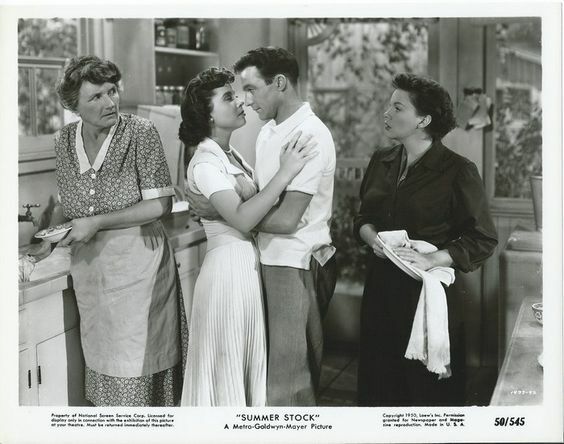 ...and Charles Walters' SUMMER STOCK (1950), in which she played Judy Garland's actress sister. That's Marjorie Main and Gene Kelly in the photo with DeHaven and Garland. I also especially enjoyed her in the charming Fox musical I'LL GET BY (1951), costarring June Haver (below), William Lundigan, and Dennis Day. 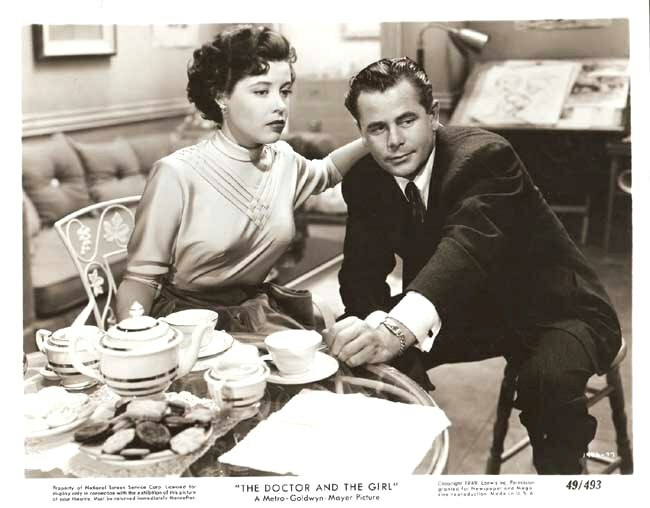 DeHaven gave fine dramatic performances in films such as SCENE OF THE CRIME (1949) and THE DOCTOR AND THE GIRL (1951), seen below with Glenn Ford. Like other MGM veterans, DeHaven guest starred on fellow MGM star Angela Lansbury's MURDER, SHE WROTE multiple times. 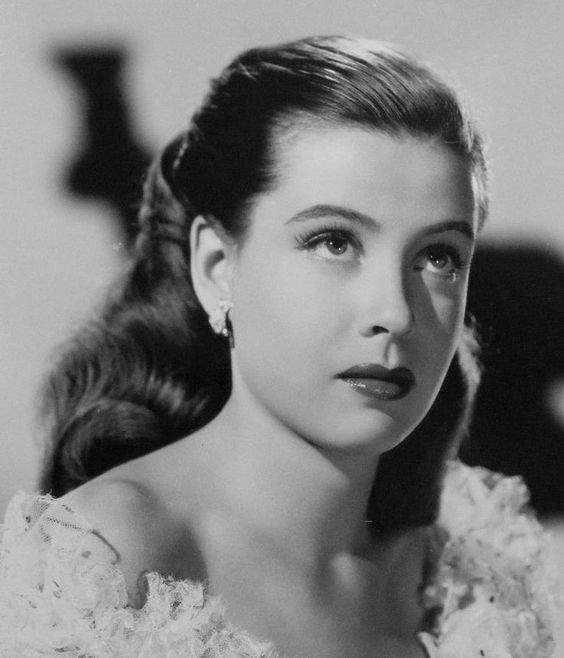 Here's a wonderful way to remember Gloria DeHaven, singing "Sweet and Lovely" from TWO GIRLS AND A SAILOR. Farewell and thanks for a lifetime of happy musical memories. Gloria DeHaven films reviewed at Laura's Miscellaneous Musings: SUSAN AND GOD (1940), BETWEEN TWO WOMEN (1945), SCENE OF THE CRIME (1949), THE DOCTOR AND THE GIRL (1951), I'LL GET BY (1951), and DOWN AMONG THE SHELTERING PALMS (1953). Update: Here are obituaries from the New York Times and Los Angeles Times. Earlier this month I watched THE BOURNE IDENTITY (2002) for the first time, based on the spy thrillers by Robert Ludlum. ...THE BOURNE SUPREMACY (2004) picks up right where THE BOURNE IDENTITY left off. 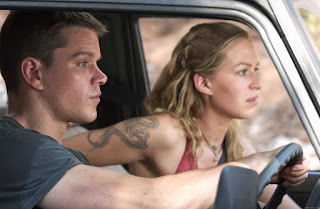 More so than most sequels, it's simply an extension of the first film; Jason Bourne (Matt Damon) is still trying to understand who he is, and some of the same bad guys are still out to take him down. As the movie begins, Jason is living in a remote area with his girlfriend Marie (Franka Potente), the only person he knows he can trust. Before long, however, an assassin (Karl Urban of RED) locates Bourne and shows up to kill him. Once more Bourne must crisscross Europe, staying one jump ahead of those who want him dead. Among those who want Bourne erased: Ward Abbott (Brian Cox, also seen in RED) of the CIA, an evil man who kills his colleagues without a second thought. 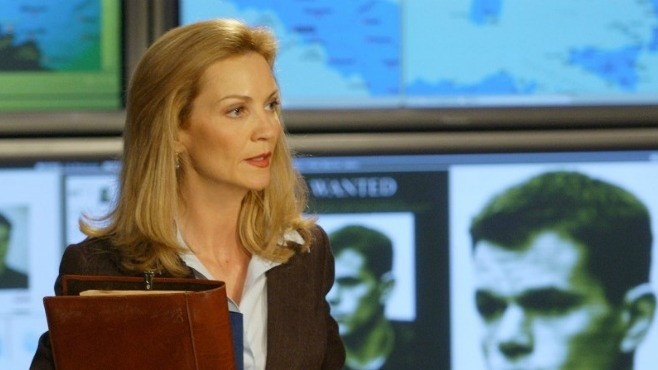 An unexpected wrinkle for both Bourne and Abbott is CIA agent Pam Landy (Joan Allen), who begins probing Bourne's history. Allen is excellent, a real asset to the film, and I was glad to note she'll also appear in the next title. This was a solid film which will please fans of the first movie, as it's basically more of the same, including the return of Julia Stiles as Nicky, a young Paris-based agent. The one difference is Paul Greengrass took over directing, replacing the first film's Doug Liman. I prefer Liman's smoother style; Greengrass is all about supertight closeups and a careening camera. The movie was shot by Oliver Wood, who filmed all three movies in the original trilogy. The storytelling can be a bit convoluted at times, leaving the viewer feeling like a scorecard is needed to track the players, but if you stick with it, it all sorts itself out. At 108 minutes the film is more compact than THE BOURNE IDENTITY, which works to its benefit. The time seemed just right. As with the original film, one of the pluses is the extensive location shooting, ranging from Germany to Moscow to India. It's a great-looking film with good atmosphere. Parental Advisory: THE BOURNE SUPREMACY is rated PG-13 for violence, intense action, and brief language. 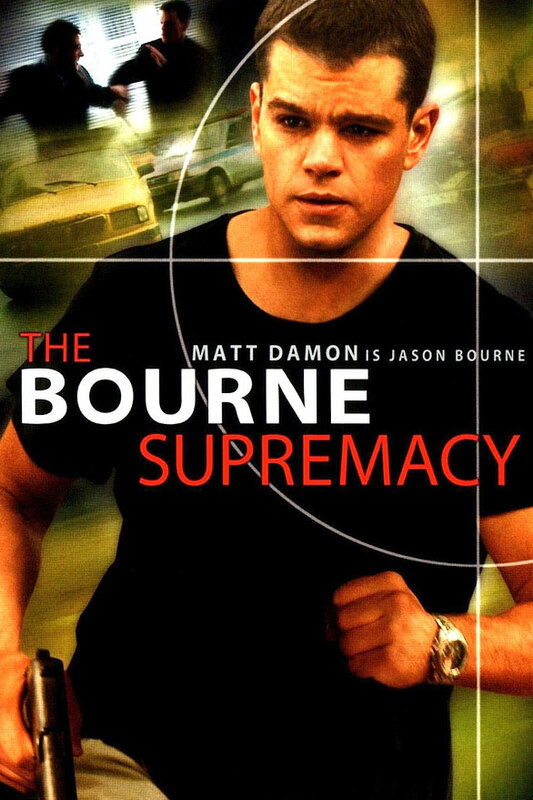 THE BOURNE SUPREMACY is available on DVD, Blu-ray, and Amazon Instant Video. A short trailer is at IMDb. ...THE BOURNE ULTIMATUM (2007) begins exactly where THE BOURNE SUPREMACY ends, with a wounded Jason Bourne (Matt Damon) trudging through the snow in Moscow. This once again underscores that the three films are really one long story. 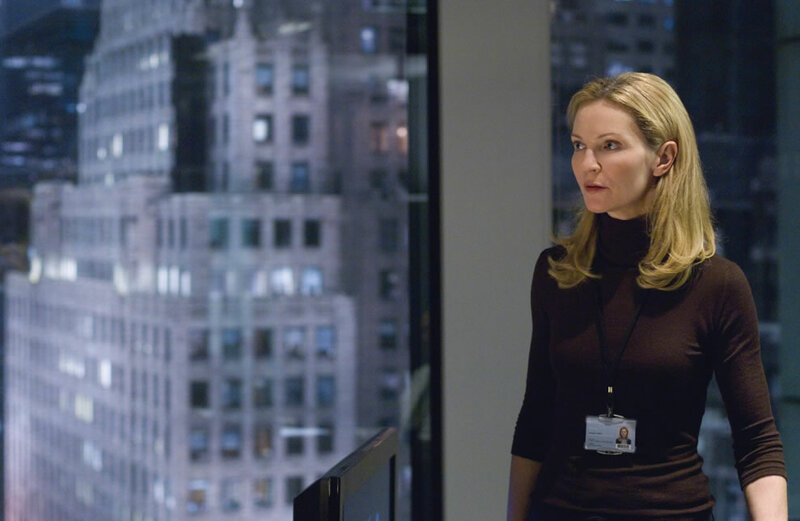 Certain members of the CIA still want to kill Bourne, but he edges closer to finding out why thanks to detective work by Agent Pam Landy (Joan Allen), who begins to uncover evidence of a rogue operation within the agency. 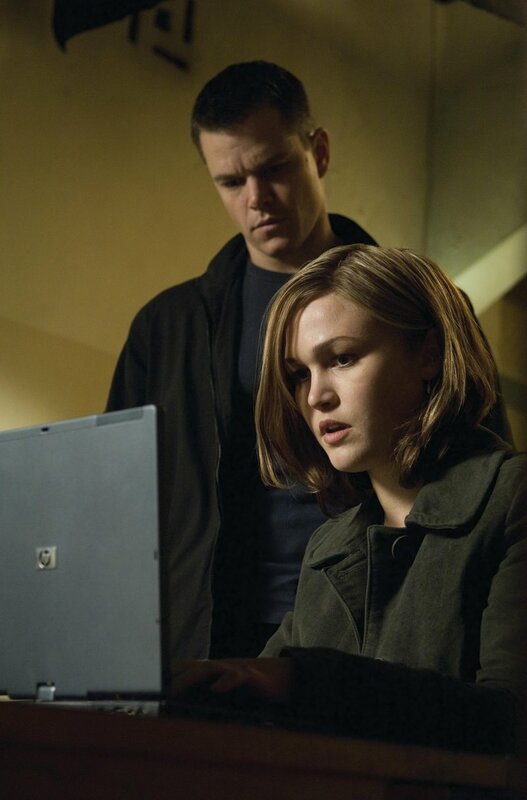 The agents who were involved are desperate to kill Bourne to hide the program's existence, and eventually agent Nicky Parsons (Julia Stiles), who aids Bourne, is also targeted for execution. THE BOURNE ULTIMATUM is, for the most part, action-packed and exciting, though I suspect some aspects would become clearer to me if I sat down and watched all the movies again! There are a lot of players in a very complicated plot. My favorite sequence was a cat and mouse game shot in London's Waterloo Station, where we spent a good deal of time during our 2009 trip to London. It was beautifully choreographed and quite thrilling. The one place the movie falls apart is near the end, when everything grinds to a halt as Jason learns the truth about his background. Getting to that point at the end of three films should be exciting, and instead it ends up being an incredibly boring, slowwwwww sequence with underwhelming revelations. There's some nice symmetry with a watery ending, bringing us full circle, as THE BOURNE IDENTITY began with Jason in the water, and water was also part of a key sequence in the middle film. Like THE BOURNE SUPREMACY, THE BOURNE ULTIMATUM was directed by Paul Greengrass and filmed by Oliver Wood. The supporting cast includes Scott Glenn, Albert Finney, and David Strathairn. Parental Advisory: THE BOURNE ULTIMATUM is rated PG-13 for violence and intense action. 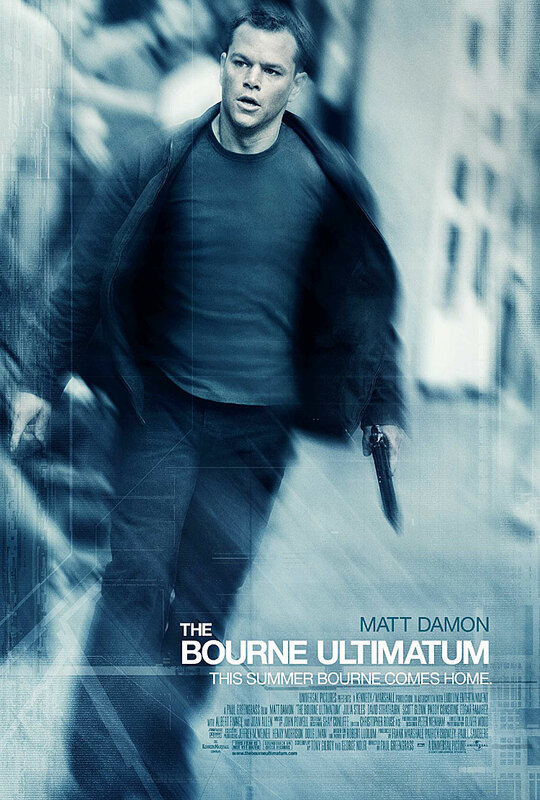 THE BOURNE ULTIMATUM is available on DVD, Blu-ray, and Amazon Instant Video. A brief trailer is at IMDb. In the near future I also plan to watch THE BOURNE LEGACY (2012), the lone Bourne film to star someone other than Damon. The lead actor is Jeremy Renner, who plays Hawkeye in the Marvel films, most recently CAPTAIN AMERICA: CIVIL WAR (2016). CRASHING HOLLYWOOD (1938) is the third film I've reviewed from the new Lee Tracy RKO 4-Film Collection, available from the Warner Archive. When I first saw CRASHING HOLLYWOOD in 2013, I found it to be a particularly fun discovery, and that impression remained the same on this viewing, 3-1/2 years later. 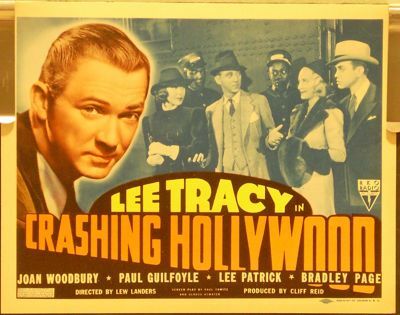 The film has one of Tracy's most appealing performances, plus the very funny Richard Lane and Paul Guilfoyle. There are also great settings on a train and later on the RKO lot, aka "Wonder Pictures." It's an enjoyable, fast-moving 61 minutes. Tracy plays Michael Winslow, who heads for Hollywood hoping to be a screenwriter. 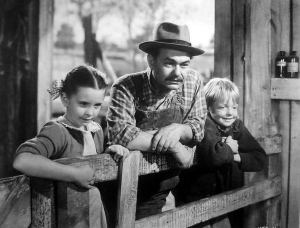 On the train to California he meets Barbara (Joan Woodbury), an aspiring actress, and ex-con Herman Tibbets (Guilfoyle), who is just out of prison and wants to be a duck farmer. Herman's wife Goldie (Lee Patrick) is hoping he'll do something more lucrative, and as it turns out, Michael and Herman are hired by studio production chief Hugo Wells (Lane) to write crime dramas. Michael and Herman are a success, although they run into trouble when one of their films is based on a real unsolved crime. There's also the complication that lead actor Tom Darcy (Bradley Page) is a dead ringer for a real crook named "The Hawk." 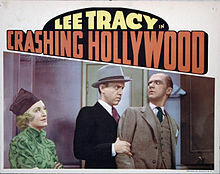 Tracy tones down his often manic persona in this film, being perhaps the most level-headed character of the bunch. He's positively calm compared to Lane as the fast-talking (and hilarious) studio boss. Hugo's solution to any situation is to offer a studio contract. And I loved his repeated request to Michael for "Eight pages a day!" 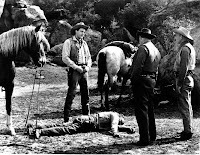 The young Jack Carson plays a movie director, and the cast also includes Tom Kennedy, George Irving, Frank M. Thomas, Jimmy Conlin, Alec Craig, and Willie Best. Lew Landers, a "B" director whose films I particularly enjoy, was the director, with cinematography by Nicholas Musuraca and Frank Redman. The film was inspired by a play called LIGHTS OUT. 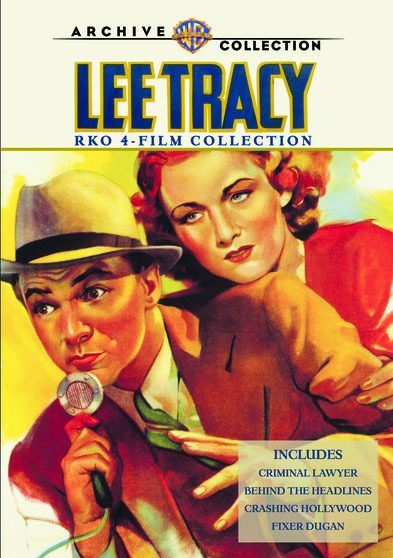 I've previously reviewed two other films in this set, BEHIND THE HEADLINES (1937) and CRIMINAL LAWYER (1937). 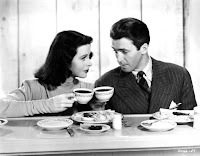 I'll be reviewing the final film, FIXER DUGAN (1939), at a future date. I'm glad that this fun film will have a wider audience thanks to the Warner Archive. The Archive DVD is a good-looking print. There are no extras. My husband and I enjoyed an afternoon strolling the Orange County Fair today! I think the last time we were there we were pushing a stroller, so considering our youngest child just graduated from high school, it had definitely been a while! We had a good time, and I felt like there were more shady walkways since we visited years ago, which was nice given that it was a warm day. ...and I can't even remember the last time I had an Icee! That really hit the spot walking around on a warm afternoon. My husband was curious about the deep-fried Twinkies we've heard are sold at fairs, so he tried one, and he thought it was really good. More colorful food stands...you can get deep-fried anything and chocolate-covered anything (bacon!) at the fair. I especially enjoyed looking at the animals and some of the other fair entries. "As high as an elephant's eye!" All in all it was a very nice afternoon and we walked a few miles taking in the sights, so it was a "win win." We agreed that we won't wait as long next time for a return visit to the fair.